After we have reviewed a number of important Google Scholar tips, today we are sharing with you this equally important functionality provided by Google Scholar called ‘Library’. Google Scholar library is the place where you get to store all of the articles and other reading materials you search for on Scholar. It allows you to organize your saved content by topic and labels. 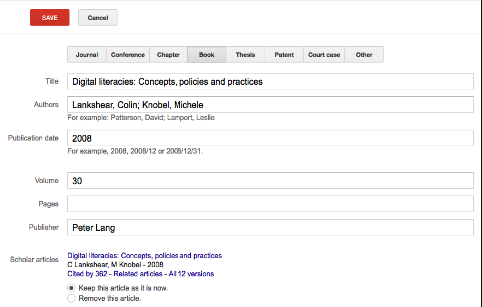 Using the integrated scholar search you will be able to easily find any article you want. 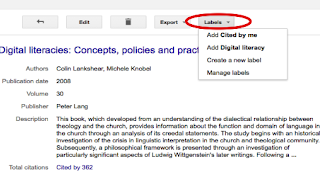 Below is a guide we have put together based on instructions found in Google Scholar Help to assist you make the best of Library. 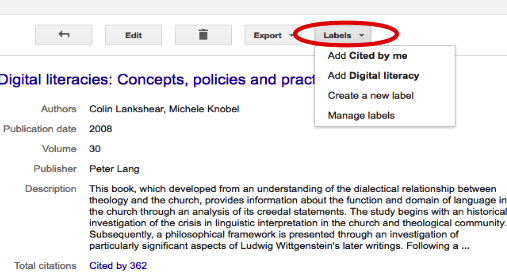 ‘To add a label to an article, find the article in your library, click on its title, open the “Labels” dropdown at the top of the page, and select the label you want to apply. 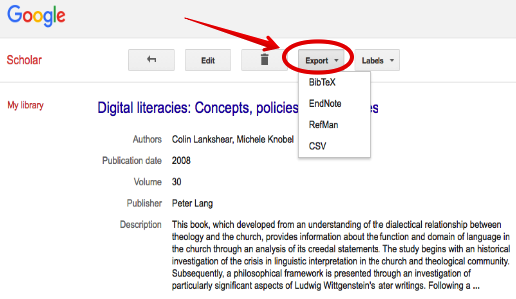 You can export articles you have saved in your library to different third party referencing tools such as BibTex,EndNote, and RefMan. You can also export it in CSV format. 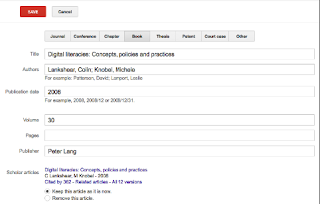 You can easily edit bibliographical information of your articles. 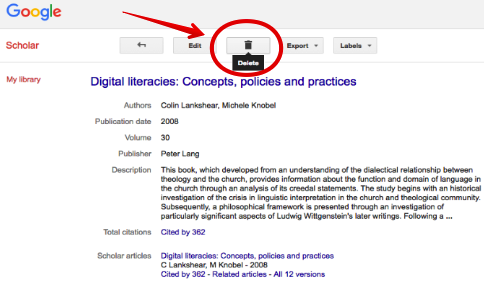 For instance you can choose whether the article is a thesis, a book, chapter, conference paper,journal paper…etc. You will also have access to details about articles including: their titles, authors, publication date, pages, volume, publisher and many more. To edit the bibliographical data of any article in your library, click on its title then click on ‘Edit button’ and you will be directed to a page where you can do the editing.